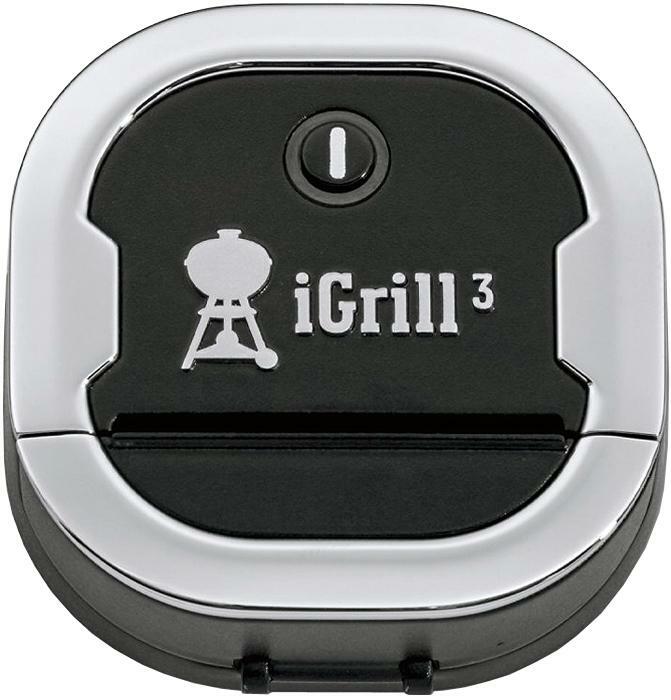 The iGrill 3 is the perfect tool for a novice pellet griller who wants their meats cooked to the precise temp. Just place up to four probes into your meat, select the type of meat on your app, and let it notify you when the desired internal temperature is achieved. 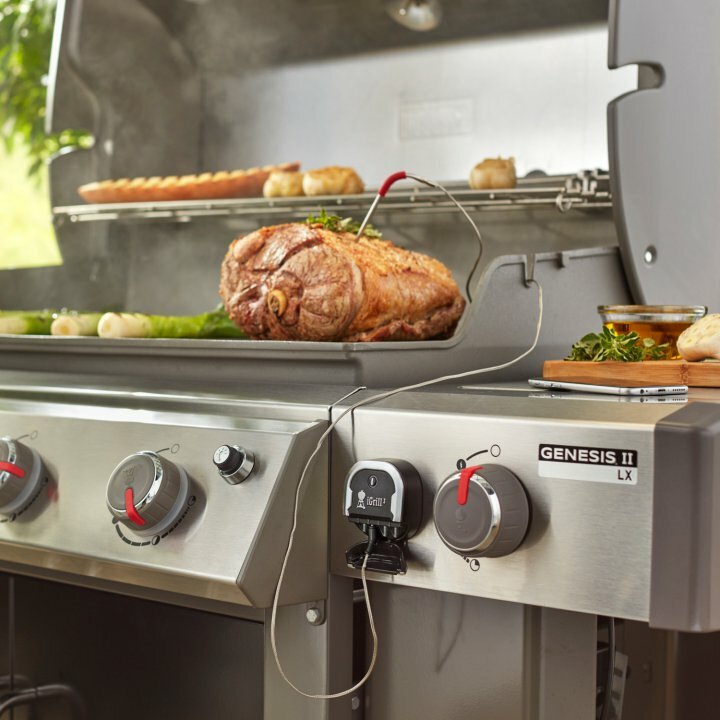 The Weber iGrill 3 is controlled by a free iOS and Android app and a wireless Bluetooth Smart connection. 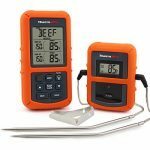 It comes packaged with two, water-resistant, color-coded food probes that can withstand temperatures up to 716 degrees Fahrenheit. It has the option to add two more probes that you can buy for an additional fee. 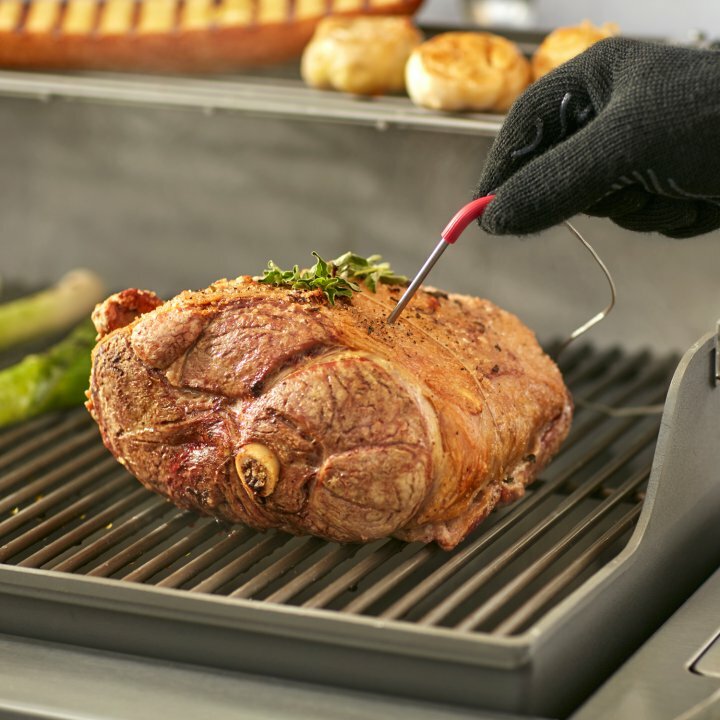 Unlike other wireless meat thermometers, the iGrill 3 has a proximity sensor that recognizes when you are too far away from the device and shuts down the digital display. When you get back in range it will automatically turn back on. 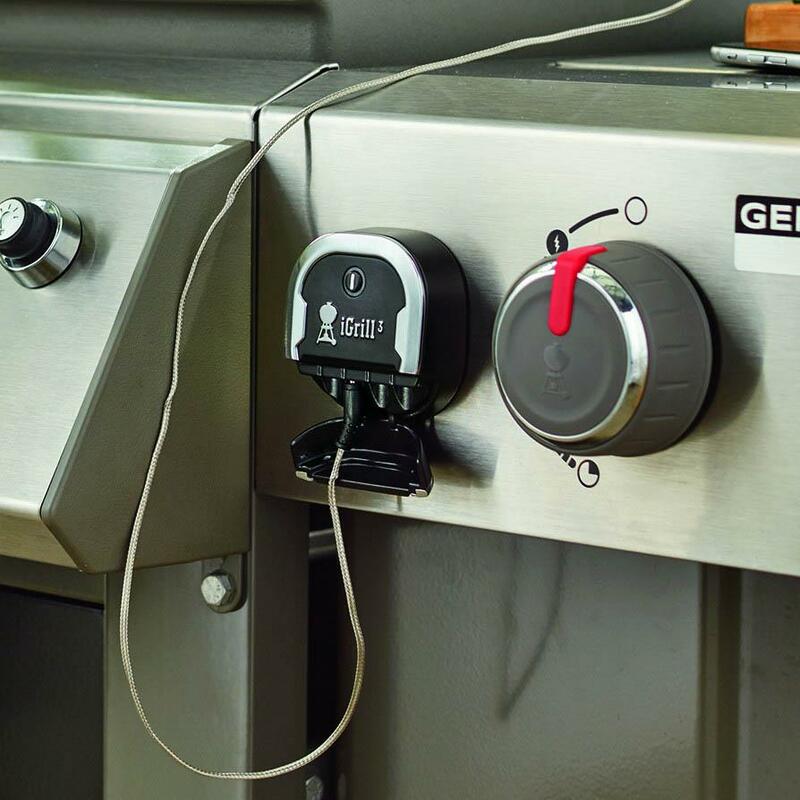 The bluetooth on the Weber iGrill 3 has a range of approximately 150 feet that transmits to the app on your smartphone. 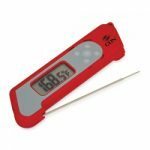 It shows you the exact temperature of the meat and will audibly and visually notify you when the desired internal temperature is reached. 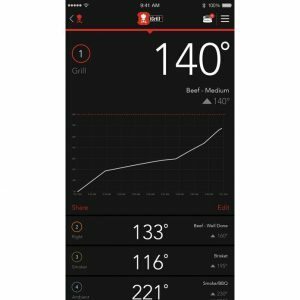 The Weber iGrill App has support for multiple devices, and comes loaded with handy digital grilling tools such as custom alarms, exclusive recipes, temperature graphing and social sharing. The app is compatible with both Apple and Android devices. The device is sturdy and reliable and comes with a 2 year warranty. 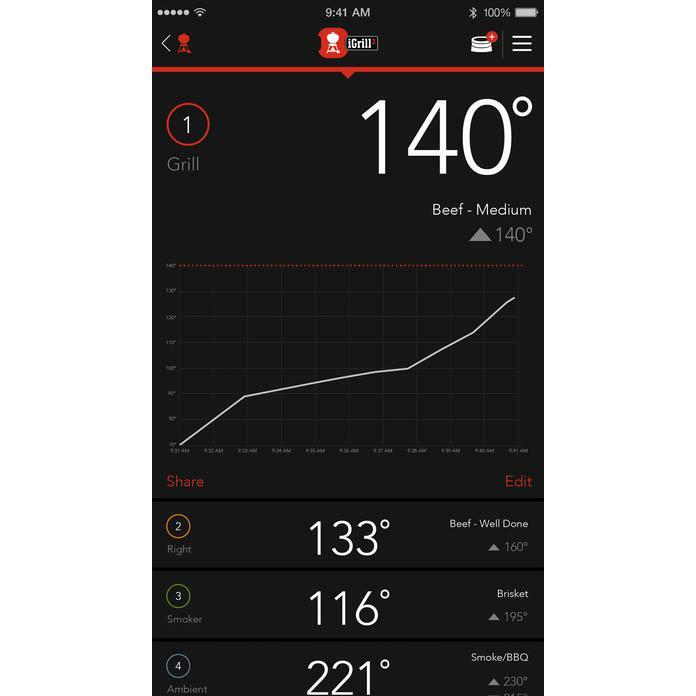 The Weber iGrill 3 Grilling Thermometer is a top of the line grilling thermometer that can monitor four food probes directly from your smartphone. The probes are,well known to stop sending a signal above 530F. There is no digital display that turns off when you move away. There is no digital display except for what’s on your phone.